Today is a big day! 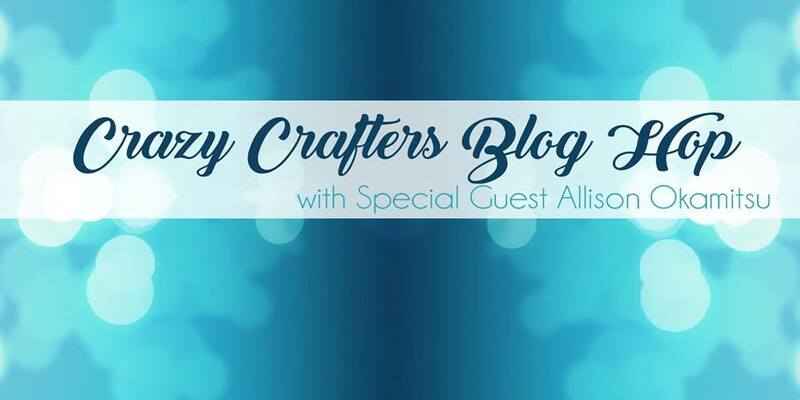 Not only is it my baby's first birthday, but I'm also hopping with the ab fab Crazy Crafters Crew & we have the lovely Allison Okamitsu as our special guest. We are all choosing one of Allison's cards to CASE (copy & selectively edit). 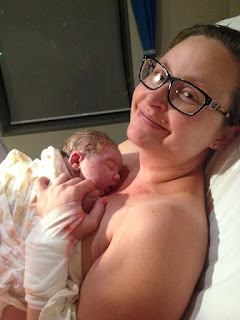 Happy 1st birthday Ryan! Little brother to Luke (almost 3). Where has the last year gone? I have used the Sweet Soiree Embellishment Kit for the pink cake, the coordinating Cake Soiree stamps (Silver Heat Embossed) & Sweet Soiree Specialty DSP (designer series paper). 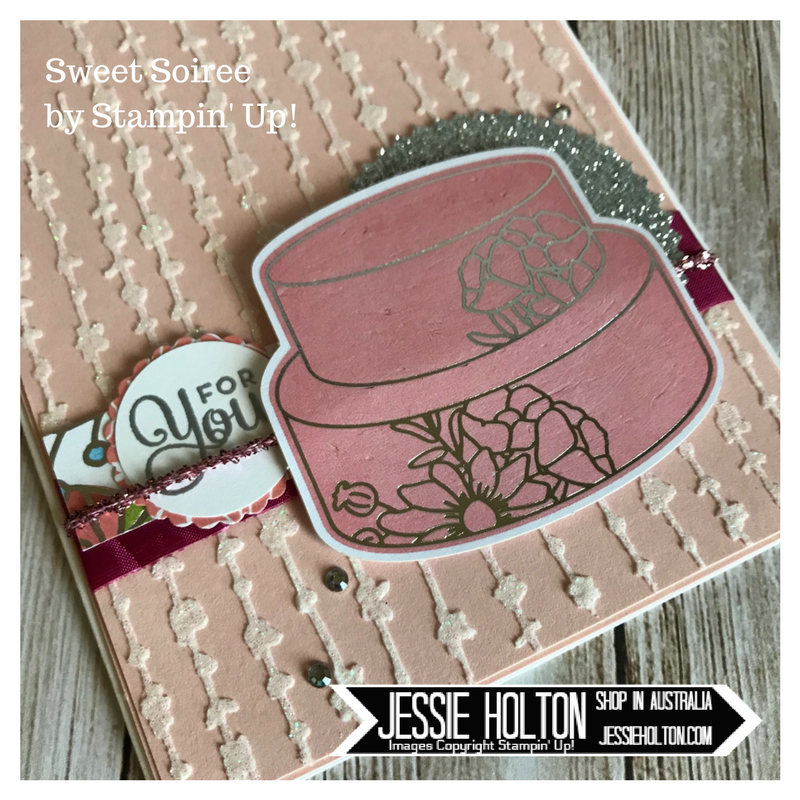 The sentiment has been cut out with the 1" Circle Punch & the 1-1/4" Scallop Punch. The ribbons used are the Berry Burst Crinkle Ribbon & the Sweet Sugarplum Mini Love Tinsel. 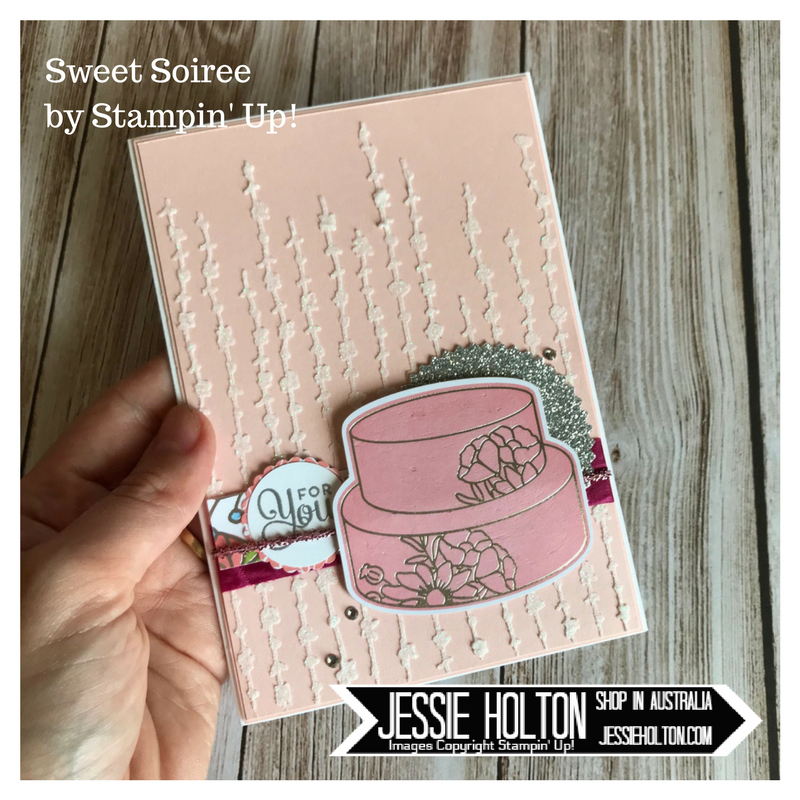 I have made the background using the Sweet Soiree Decorative Masks & Shimmery White Embossing Paste, the Starburst Punch with Silver Glimmer Paper & Basic Rhinestones. 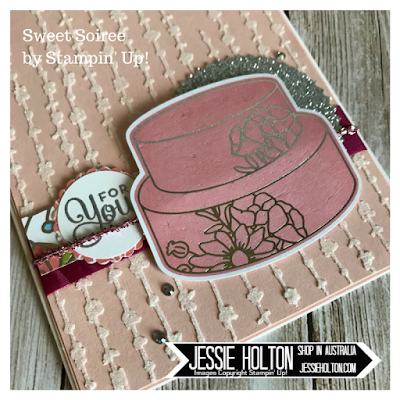 The card base is Powder Pink. I hope you have enjoyed my card today & that you can hop around the rest of the crew & show them some love. They are all very talented, so you wont want to miss any of their posts.